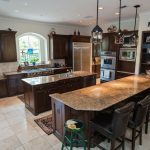 Kitchen islands can be considered the hub of any kitchen because they act as the food preparation or cooking area as well as a gathering spot for friends and family. In some cases, it can also be a dining area which great place to bond over a nice meal. 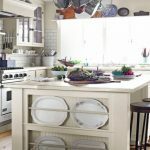 In addition to the obvious functional attributes of kitchen islands, it is important to point out that they also serve as decorative accessories for kitchens. 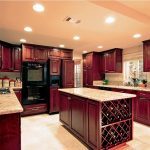 Designers are required to come up with stylish designs that are pleasant to look at while still blending in well with the rest of the kitchen decor and color theme. 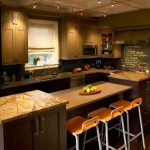 Kitchen island ideas evolve over time and this may require you to update your kitchen from time to time. 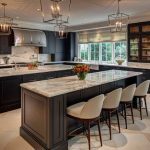 We have come up with an exhaustive list of contemporary kitchen island ideas that you can adopt in your home, but before we get into it, it is important to highlight some properties of a great kitchen island. You should be able to easily change or modify light fixtures without much hassle. You can choose from a variety of lighting fixtures including pendant lights, LED track lights or chandeliers. 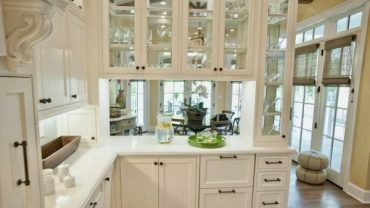 Having an organized kitchen is a must and the kitchen island can help keep things tidy with a sufficient working surface area, compartments, and drawers. This is optional but highly recommended. Adding chairs to a kitchen island allows several people to gather and enjoy each other’s company whether preparing food or eating. It’s always great to have an alternative gathering place other than the living room or patio. The seats allow you and your family members or guests to be comfortable when bonding. 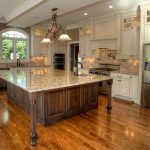 Antique styles are still trending this year and you can consider improving the look of your kitchen with a baroque-themed kitchen island. This piece of furniture adds a romantic feel to any kitchen especially the elegant curlicued legs that are very eye-catching. 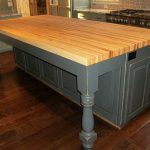 This kind of kitchen island is often custom made and you could include stacked drawers and possibly a small cubby door for added functionality. This design suits a hardwood table top with either a glossy or natural rustic finish. Cushioned chairs can complete this look. Never underrate the elegance of real wood. 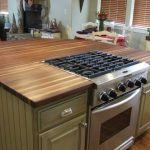 Today many people are opting for composite boards and other nonnatural materials for kitchen furniture, which is okay, however, there is nothing like the natural look and feel of natural wood. To add a personal touch you could opt for a custom hand carved design. You could either choose a more conventional design or go for an edgier abstract look. This is an ideal look if you want a cozy countrified look. 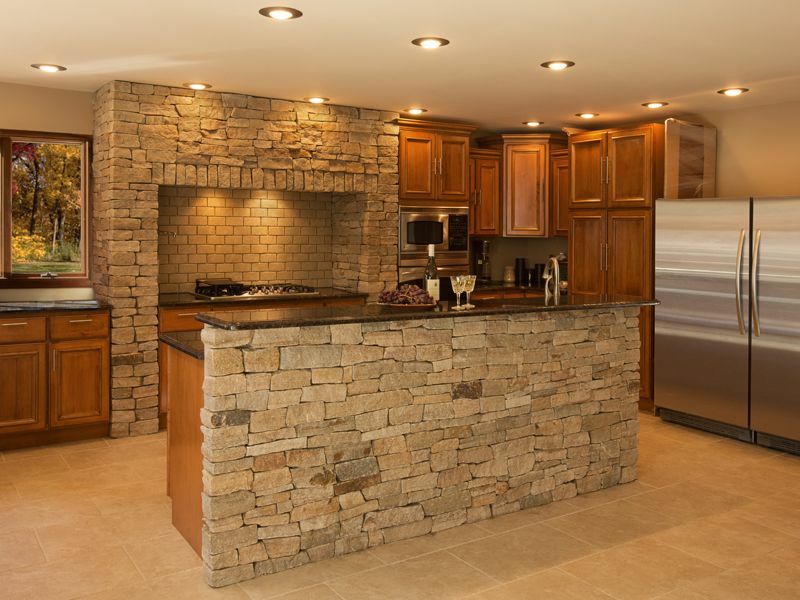 You may be wondering how an outdoor look would work indoors, especially the kitchen. 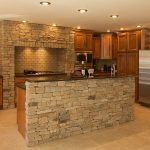 With a great finish, you’ll be surprised how great the exposed bricks can look when finished well and combined with other materials. For instance, you could either settle on a marble countertop or solid wood depending on your preference. The rustic look is still big in 2017 and there nothing more rustic than the farmhouse look. 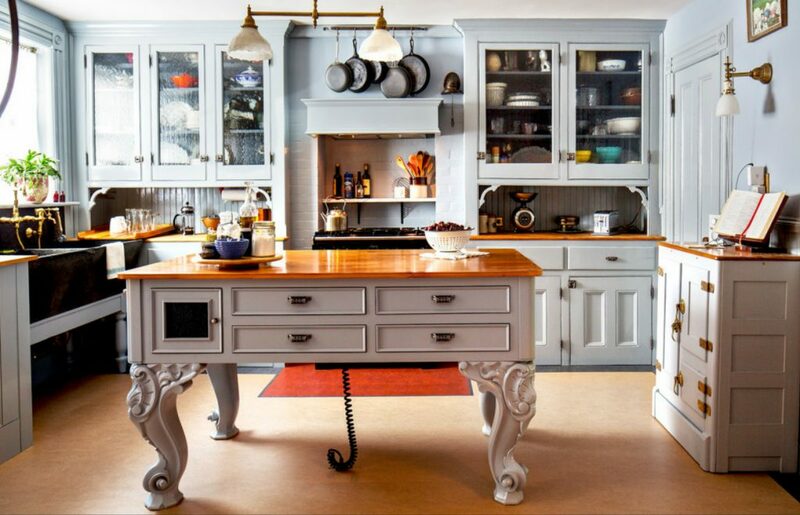 The kitchen island highlighted in the picture shows a white custom made piece of furniture with a zinc top that was specially crafted by a local metal shop. Two sides are fitted with special inbuilt plate racks that offer sufficient stealth storage. This farmhouse kitchen island is coupled with a pair of raised stools for added functionality. We are so used to flat-topped kitchen island designs that anything contrary would seem strange. 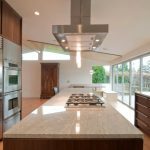 If you’re willing to experiment you can try out a dynamic design that incorporates a dynamic countertop with different planes. Having different levels on your kitchen island is not just a design attribute, it can also create separate functional areas. For instance, one level may be for food preparation while a different level may be an eating area. You could also use one level to accommodate an appliance so that it is not in the way. 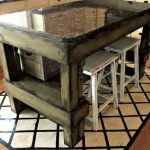 If you do not want too many levels for your kitchen island, you could go for a two-tier structure which is simpler yet still practical in terms of functionality. Usually, the raised level is used for dining while the lower part is the preparation, cooking or wash area. The kitchen island can be sufficiently modified to store various items. One of the best hidden-storage ideas that can be incorporated into this piece of furniture is a concealed wine rack. If you have no space for a cellar you can simply modify the hollow bottom part of the kitchen island to include a wine storage area. 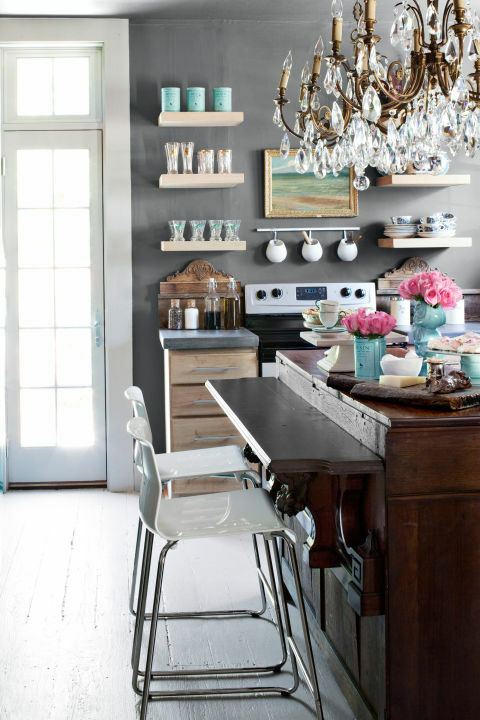 You could add additional storage such as shelves or drawers for other kitchen items. 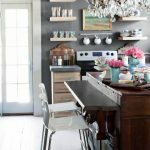 The kitchen island is usually positioned in the center of the kitchen but this leaves plenty of empty overhead space that often goes to waste. With some creativity, you could come up with some great ways to make use of this empty space. 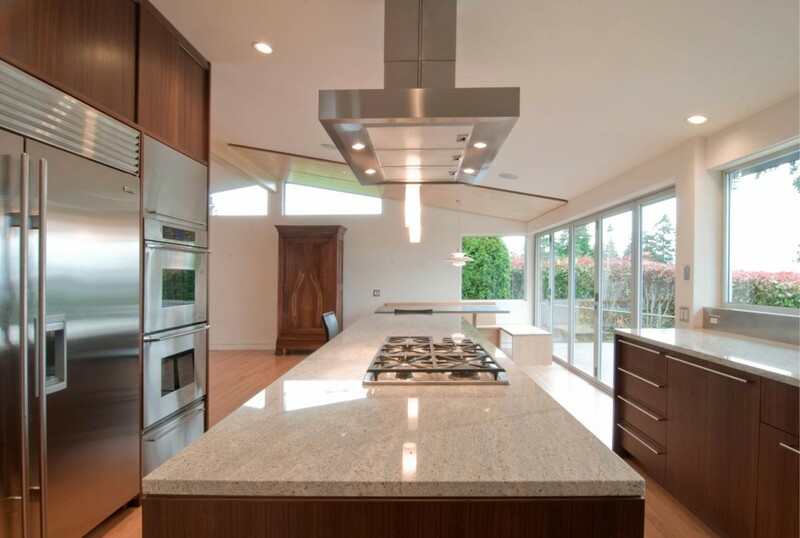 You could decide to install a fancy exhaust hood if your stove in on the kitchen island. 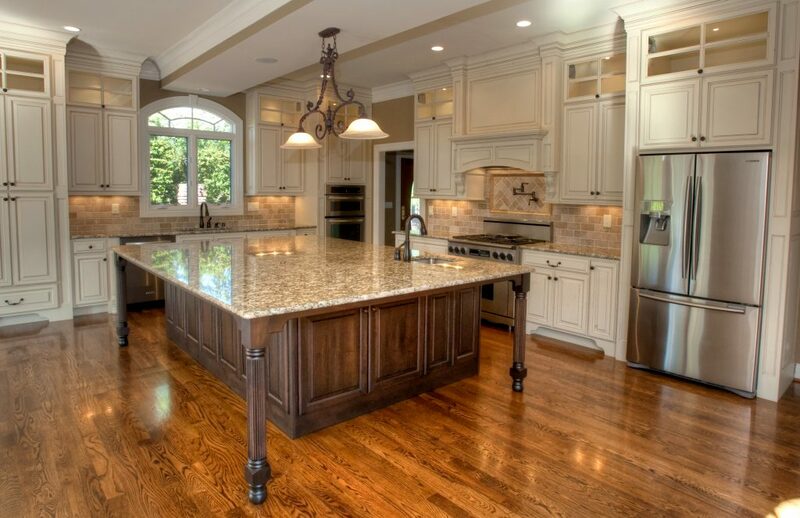 Another great idea would be to install elegant light fixtures peering over the kitchen island. When your goal is simplicity and frugality, it is not prudent to go spending insane amounts on kitchen furniture. 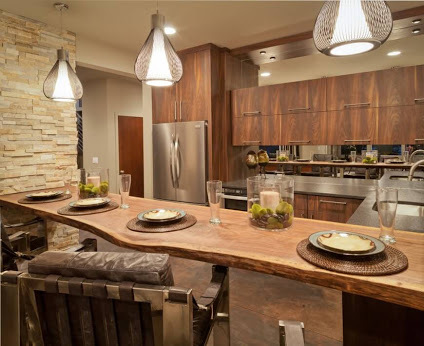 This does not mean that you cannot have an elegant and functional kitchen island. 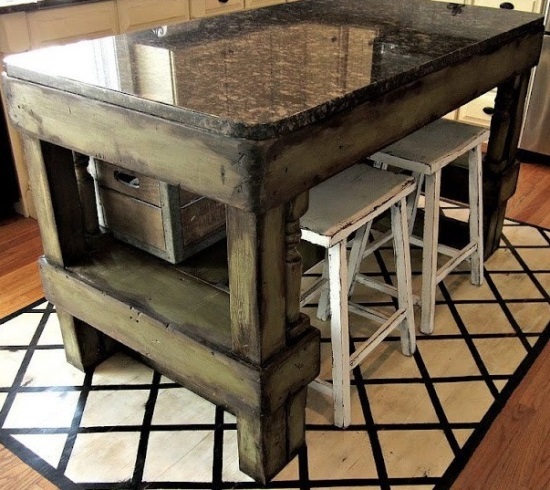 You can easily recycle another piece of furniture by re-modifying it to serve the purpose of a kitchen island. The picture above, for instance, features a modified kitchen island that was previously used as a side table. This is an interesting way of getting what you want by using what you already have. 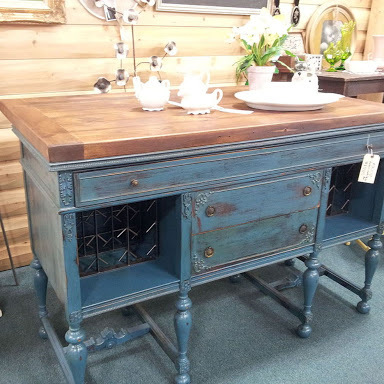 You could also re-purpose an old chest of drawers by adding a couple of rear cabinets and installing a marble top. 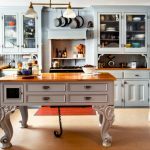 Other pieces of furniture that can easily be transformed into wonderful kitchen islands include tables, bookcases, dressers and even dressing tables. 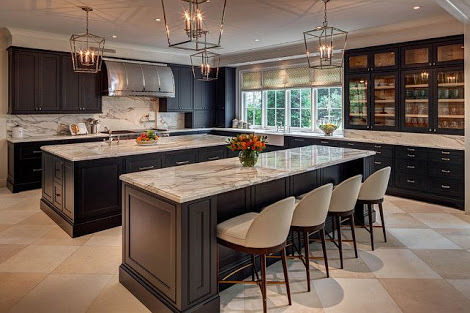 Earlier I mentioned that you could use your kitchen island to place appliances but it you wish to save on space it would be ideal to have the appliances built into the body of the kitchen island. 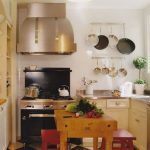 For instance, rather than having your microwave take up much-needed space on the cooking or preparation surface, you could have it mounted beneath the structure where it is not obstructive. This also helps keep appliances safe and free from accidental or structural damage. 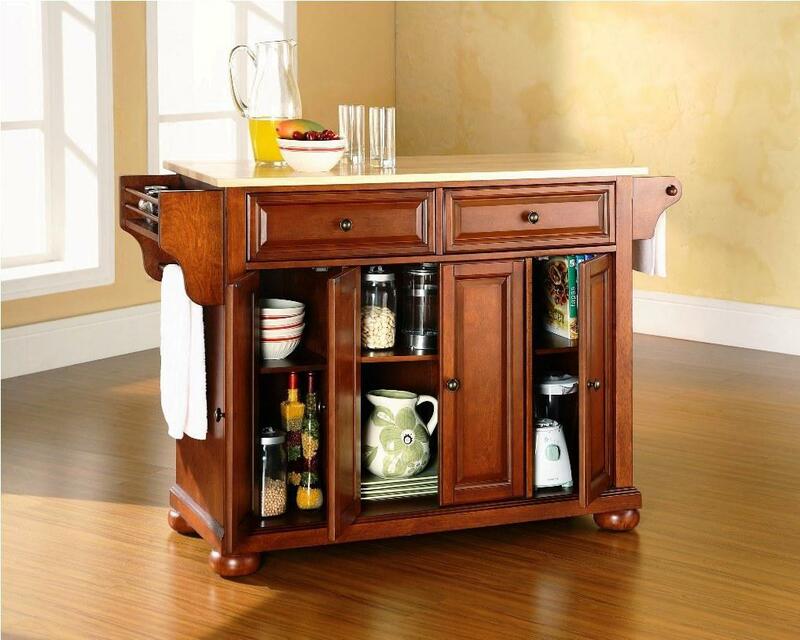 It is okay to have a kitchen island strictly for decorative purposes. If this is the case you could use it to display an array of decorative items and other trinkets. Some commonly used items often put on display include antique cutlery, family pictures, candy jars, cookie jars and snowglobes among other items. 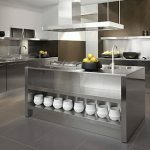 The industrial look is slowly making a comeback and one of the trademark materials that compliments this look is stainless steel. When used appropriately this material can offer an elegant look that rivals wood or ceramic. It is also very sturdy and can withstand the rigors of a busy kitchen. There nothing more traditional than wooden furniture with a spindle leg design. The symmetrical shaft design of the legs can be applied to both the kitchen island and the accompanying stools. This design is very elegant and can create an elegant decor theme for your kitchen furniture. 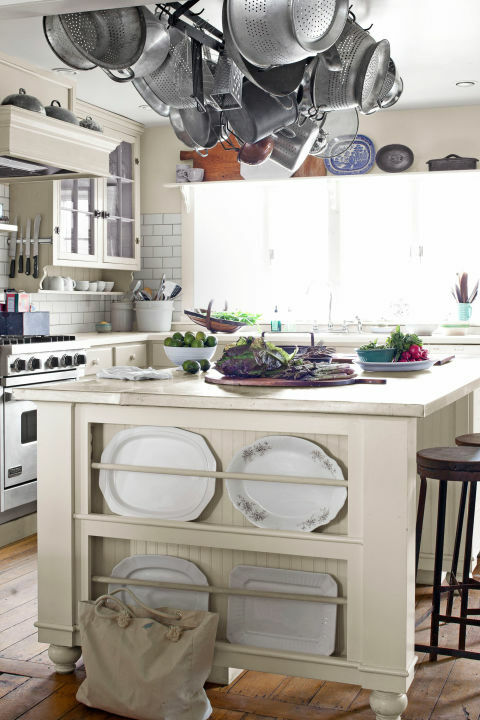 The butcher-block kitchen island design is slowly making a comeback. This design usually comprises a cart or standalone workstation. 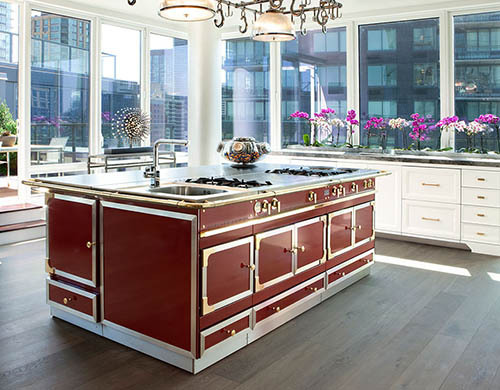 The thickness of the counter-top range usually ranges between 2 and 16 inches and you could decide to have the butcher-block incorporated into the overall structure of the kitchen island or simply attached to an existing one. 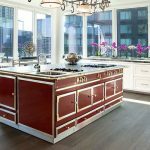 This kind of island design is perfect for meal preparations and it also adds a great deal of elegance to the overall kitchen decor. 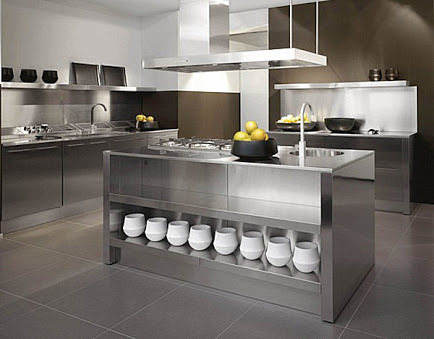 We are accustomed to specific kinds of shapes for kitchen islands, mainly rectangular or square. 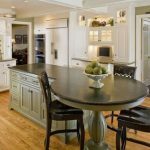 If you want to have a unique look for your kitchen you should consider investing in an irregularly shaped island. 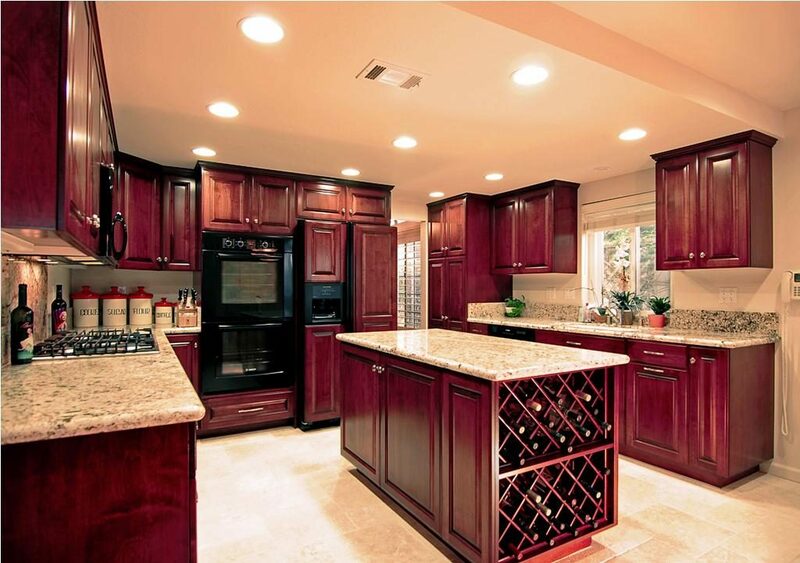 These are usually custom made structures that are fitted according to your kitchen’s floor plan. A triangular shaped structure, for instance, may offer a better workspace and storage. It may also create more space depending on the shape of your kitchen. Other obscure shapes that you could consider include hexagonal, circular and semicircular. 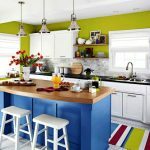 Color blocking for kitchen islands is a great idea if you do not like the conventional bland hues that characterize many kitchens. 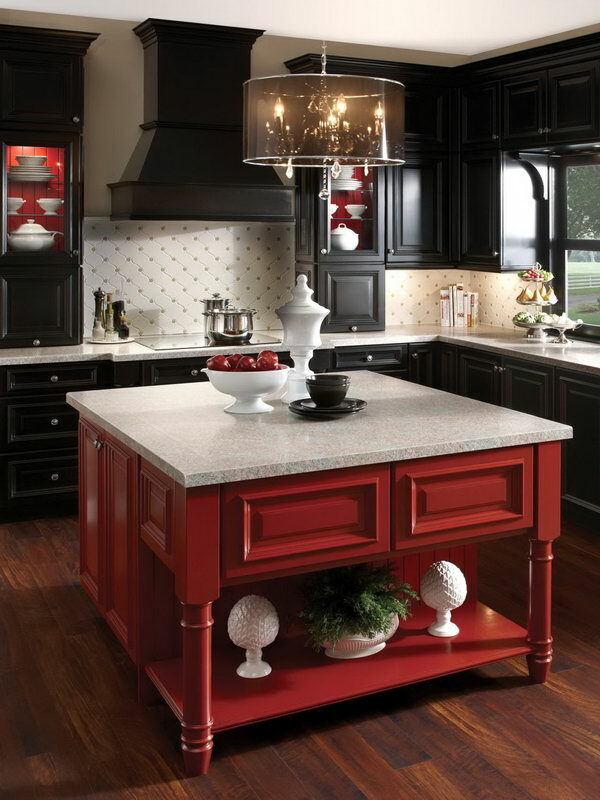 You could decide to be a bit edgy and infuse bold colors for the kitchen island to create a vibrant look. Color blocking is more eye-catching because it includes swathes of different hues which can be quite dramatic and inviting. It is important, though, to ensure that you do not go overboard with the color. Unless you’re channeling your eccentric side, try and keep your color scheme within reasonable bounds. If you have enough space and want to make a statement why not go for a twin set of kitchen islands. This is a great idea from a functional and design standpoint. With two additional surfaces, you’ll have additional space to perform various kitchen-related tasks. This twin design is quite unique and gives the kitchen a fresh unconventional look. 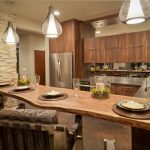 Most of the kitchen island concepts that incorporate seating space often use the edges of the structure as the eating area. If you wish to depart from this conventional look you can opt for an extended surface that juts out from the main island. 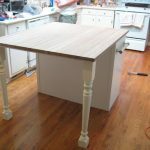 This is a great idea because it keeps the work and storage areas separate from the dining area. 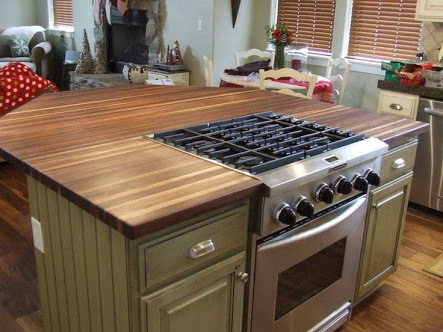 These two natural elements combine well when used to create attractive kitchen furniture. The picture above is a good example of how the two materials look together. 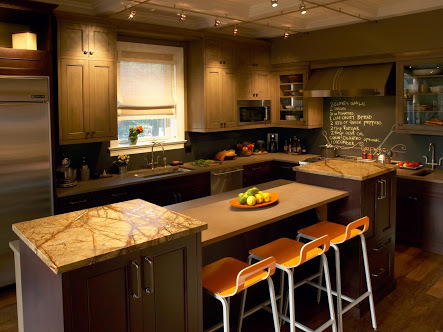 The dark solid wood used for the structural part looks elegant with a dark colored granite countertop. 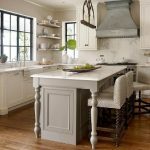 To break the monotony of the dark colors, the kitchen island is complimented with two white farmhouse style stools. 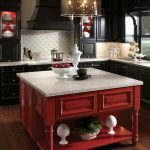 If you love kitchen islands you could actually make it the focal point of all activities in the kitchen. The structure can be turned into a multipurpose hub by including a stove, wash area, storage and dining space. All this is possible with a wide structure that can accommodate everything. If executed well this is a convenient and practical kitchen island idea that can help save space. The design can be accentuated with elegant overhead lighting fixtures. The advantage of having a mobile kitchen island is that you can move it when it is not in use to create more room. 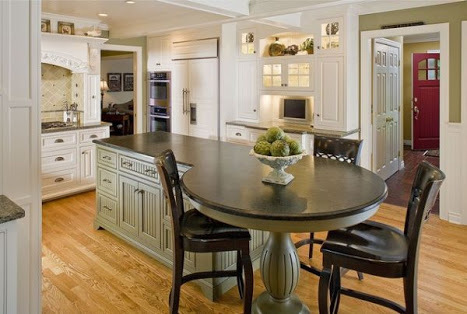 Cart style islands can be just as practical as permanent structures although they cannot easily be fitted with electrical fittings for appliances. Island carts come in plenty of designs although most designs follow the Victorian era style. It is possible to incorporate storage compartments as well as utility hooks to hang linen or mittens. 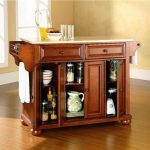 A mobile cart style kitchen island can also double-up as a mini-bar so if you love your alcohol you can get a customized multipurpose mobile kitchen island. 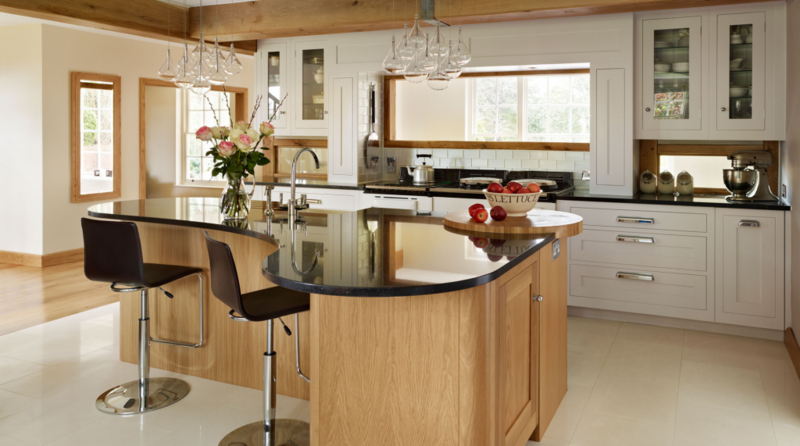 A kitchen island can help you save space and add functionality to your kitchens. In addition to this, just like any other furniture, they are supposed to contribute to the elegance of the overall home decor. 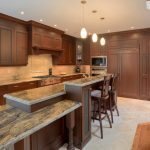 When possible, it is advisable to get custom made islands since they can be fitted according to the spatial requirements. A custom structure will also be made according to your personal decor preference. 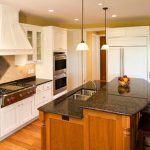 Before installing a new kitchen island, take some time to consider the most suitable functional and decorative elements to ensure that the finished structure is to your liking.